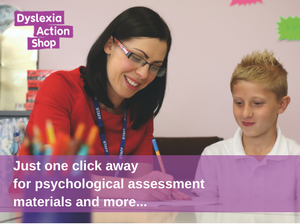 DACPD91– This Level 4 Unit provides a framework for the support of adults with dyslexia and co-occurring difficulties in a variety of post-compulsory education environments. The holistic requirements of the individual will be considered, as well as the barriers that adults can face once they leave school. A range of barriers to competent performance, including the operating environment will be examined as a foundation to identify appropriate provision. The materials in the unit will be pertinent to those supporting adults in further or higher education in work-based training and apprenticeships or other environments in which learning takes place with adults.